Aldridge Accident Repair Centre is a Suzuki approved Paint and Body centre in the Walsall, West Midlands area. We offer approved Suzuki accident repairs and maintain your manufacturer warranty, using genuine Suzuki parts only. As a Suzuki Approved Paint and Body Centre we are committed to delivering the highest levels of repair quality and customer service. 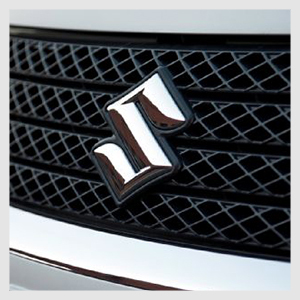 We will repair your vehicle to Suzuki manufacturer specifications. All work will be certified with a Guarantee of Repair that protects the Manufacturer's Warranty as well as the car's resale value. Our workshop is equipped with the latest Suzuki diagnostic equipment and have access to up to date technical information direct from Suzuki. Established in 1921, Aldridge Accident Repair Centre is an an independent, family run accident repair centre in Aldridge, Walsall West Midlands.